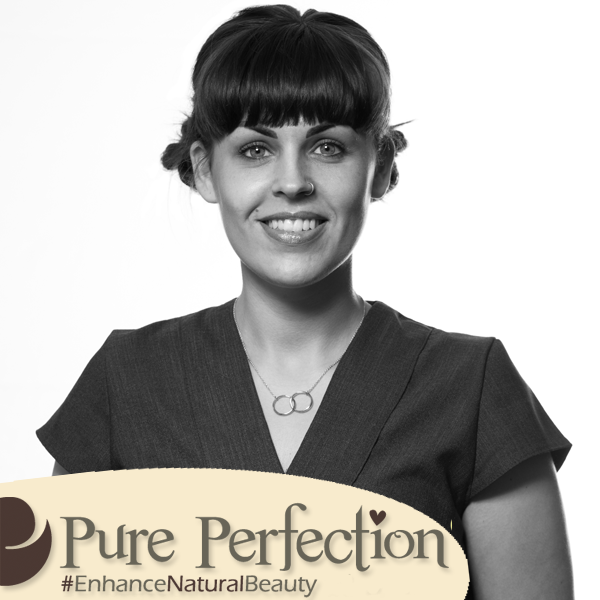 I joined Pure Perfection 10 years ago after qualifying as a Beauty Therapist. During this time I have undertaken excellent training in all aspects of beauty including HD brows, lash lifting, Microdermabrasion, Sothys facials, nails and massage. I was proud to be promoted to Manager 7 years ago and now have 4 dedicated and highly trained ladies in my team. 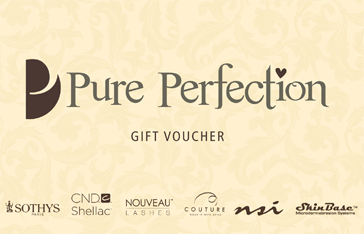 I am also lucky to be part of Pure Perfection management team who I meet up with regularly to ensure good practice throughout all salons and learn new skills. I have always had great passion for my job and as a perfectionist, I strive to ensure all clients are offered exceptional service and leave happy with their treatment. The lovely feedback I get from my clients makes me love what I do even more! I completed my qualifications at the Yorkshire College of Beauty Therapy. I graduated in 2011 with my level 2, 3 and 4. Having worked in beauty for 6 years I have gained a lot of experience in many aspects of the job, such as a huge range of treatments and exceptional client care. 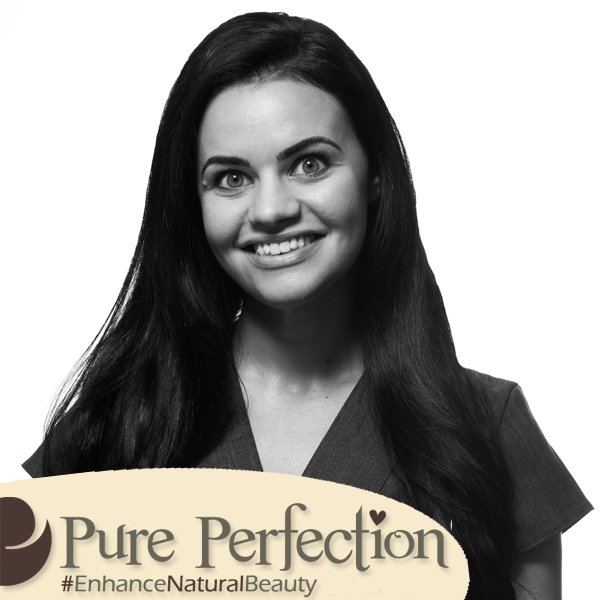 I have been part of the Pure Perfection team for 18 months now and I am loving being part of such a professional and caring team. Since being here I have done further training in our amazing facial range Sothy’s, LVL lashes and HD Brows to keep up to date with my ever-growing passion for beauty therapy. I love the variety my job brings however I particularly enjoy carrying out facials and massages as I love to help people relax and feel better about themselves.. There is no nicer feeling than seeing your client walk out the door with a smile on their face. 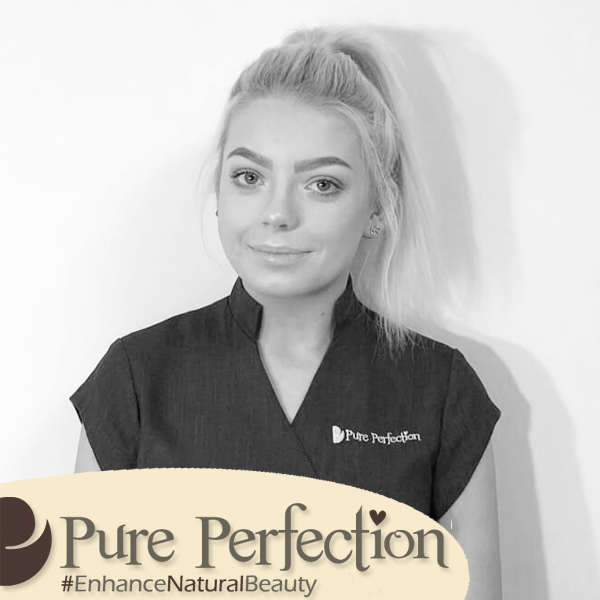 I’ve successfully completed my NVQ Level 2 in Beauty Therapy and I am privileged to be part of the Pure Perfection team in our Accrington salon as a Level 3 Apprentice. 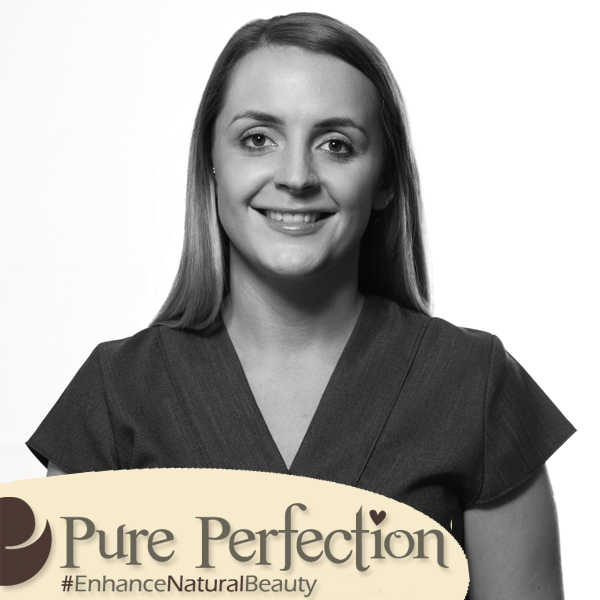 I am passionate about the beauty industry and I’m dedicated to providing an exceptional service to our clients. I know the importance of making clients feel relaxed and comfortable during treatments. 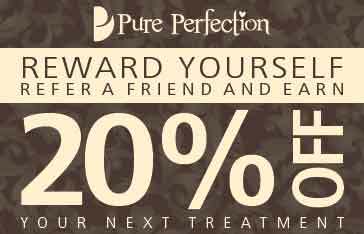 Every client deserves to feel special and at Pure Perfection, my aim is to ensure clients leave feeling beautiful and pampered as that’s the service we provide in our salon. The best part about working in the industry for me is making clients feel good about themselves and enhancing their natural beauty. I love carrying out all the treatments, but my favourite aspects of the industry are eye treatments; involving tinting, individual eyelashes and brow shaping, but also makeup, I am especially passionate about makeup as I have enjoyed applying makeup since a young age, not only to myself but to my friends and family and now my clients. I love the trends and different looks makeup can create. I am an NVQ Level 2&3 qualified Beauty Therapist who is passionate about the Skin, Body and Mind. I have completed my Decleor Face and Body training and am also trained in NEOM Organics. I love making people feel beautiful, naturally beautiful, and feel like they have nothing to worry about when they have treatment with me as it is their “Me Time’, time away from their everyday lives to feel good about themselves as I think it is very important to have that time truly to yourself and not worry about others. My favourite treatments I offer are massage and facials, I chose these treatments as I believe that the client completely zones out and leaves the room feeling calm and collected, just having that complete silence is important for your body and mind especially when you have a busy lifestyle. I am a fast learner and cannot wait to start learning more and opening up my variety of skills in the beauty industry within Pure Perfection. Hi there,I am Tara-Louise and I am the manager at our Clitheroe Salon. I like to think of myself as a bubbly person with a particularly approachable and caring nature, which shows through to all of my clients. My love for the Beauty industry began with attending Blackburn College in 2006 where I successfully gained my Qualifications in Beauty Therapy. I was then lucky enough to have a work placement apprenticeship followed by a full time therapist position at our Pure Perfection in Accrington at the age of 17 in 2007. I have been a part of the Beauty industry for the last 10 years now. 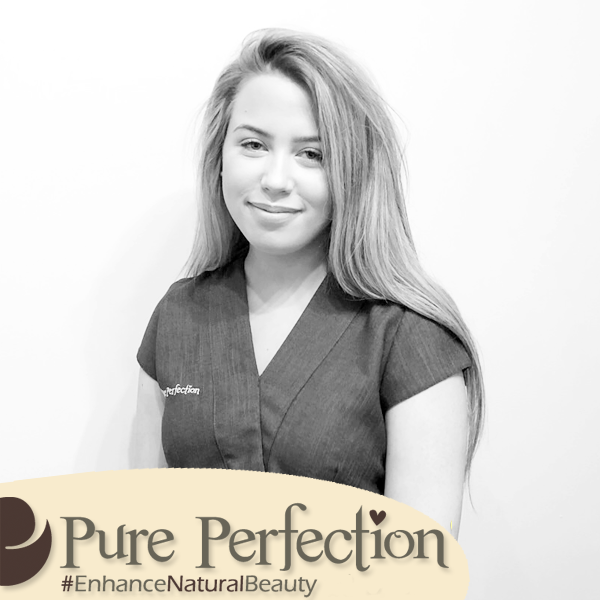 Within this time, I have been working for Carla at our Pure Perfection salons completing numerous courses with a gap year to Australia in 2012 where I extended my experience within the Beauty industry. I have been working passionately throughout my career to help me gain a high expertise in all aspects of the beauty industry, gaining my wealth of knowledge and trustworthiness to achieve a managerial position at our Clitheroe branch in 2013. As a manager I particularly love showing my team how passionate I am through my teaching and training. I adore it! 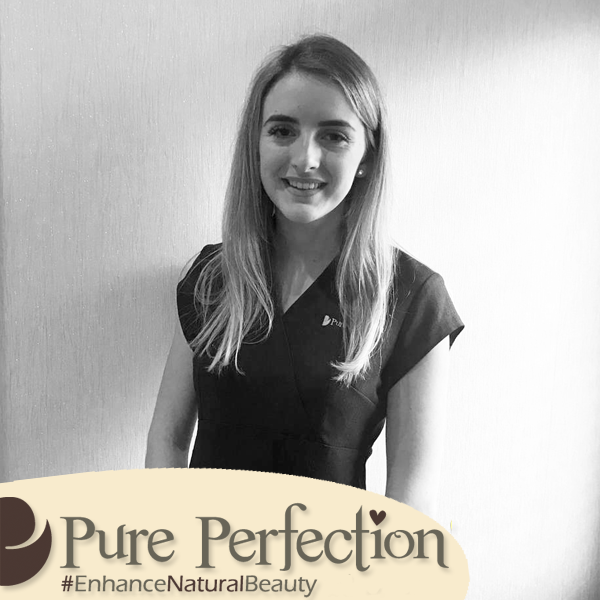 My ultimate aim is to help clients relax and unwind and enjoy their beauty experience as much as I do working for Pure Perfection! I like to think I create a relaxing atmosphere where clients feel comfortable, and take great care in listening to clients needs so I can recommend the best possible treatment for the client. Hi! 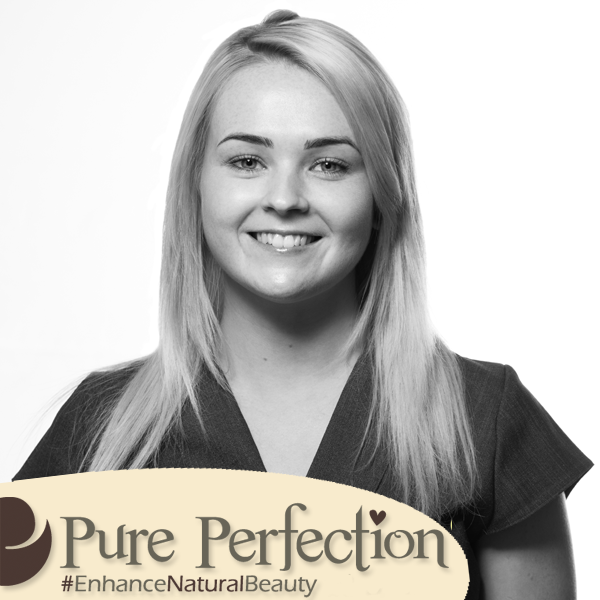 I’m currently on my apprenticeship at Pure Perfection Clitheroe. I am coming up to the end of my level 2 course, studying at blackburn college, and I’m about to commence my level 3 in beauty therapy. 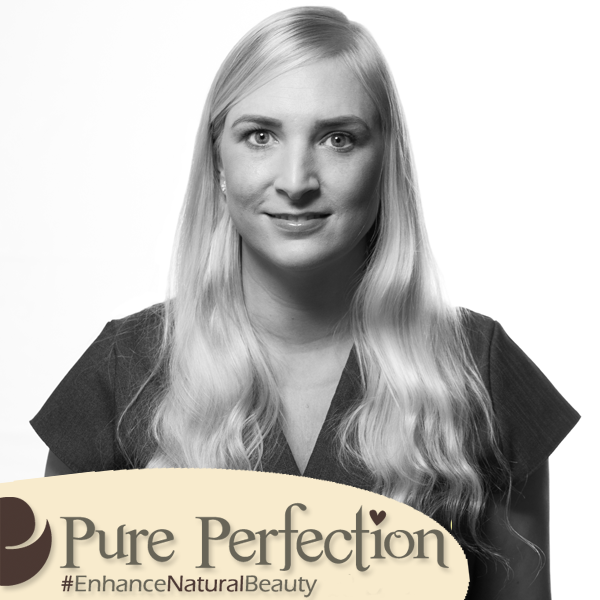 I also complete plenty of in-house training with the Pure Perfection team which extremely helps progress the work I deliver to my clients. For me, the most rewarding part of my job is making my clients feel special, whether it be from having an eyebrow wax or a luxurious massage. I’ve recently had the opportunity to go on the Sothys facial training course to improve my knowledge and skills for our heavenly treatments and products that we offer to you. From this, I can use my professionalism to assist you with the perfect facial and aftercare routine. Although I thoroughly enjoy carrying out all the treatments I offer as a trainee, I particularly admire our LVL enhancing treatment and aromatherapy massage. 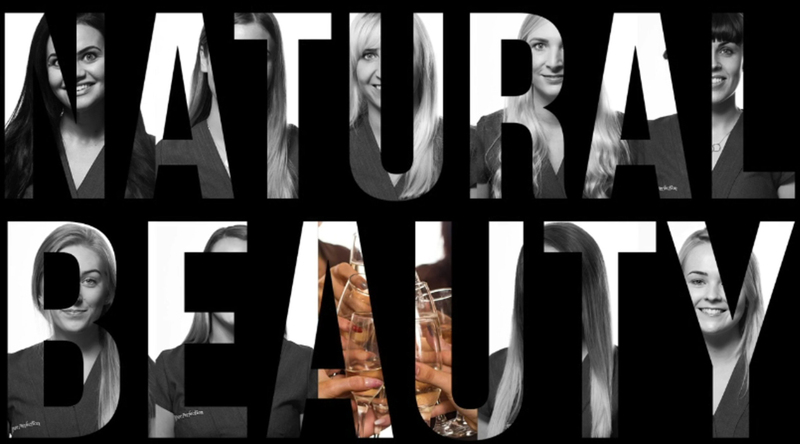 I pride myself in delivering holistic care to all my clients ensuring they all leave the salon with a smile! 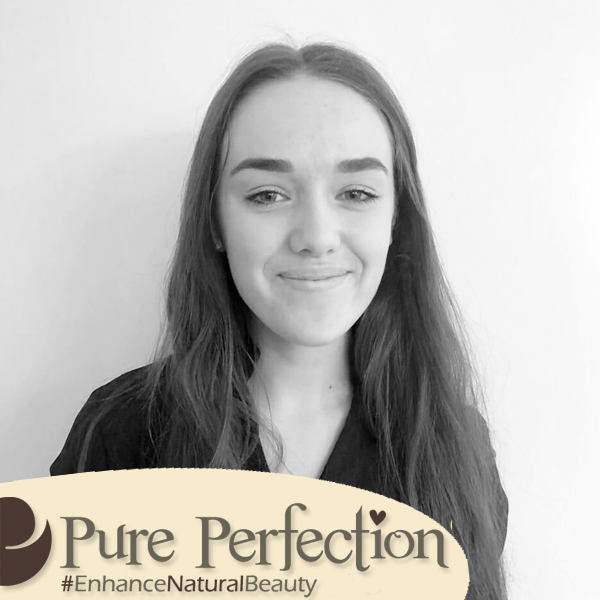 Hi I am Jess, and I have recently just started my apprenticeship at Pure Perfection. I was so privileged to get the opportunity to start as an apprenticeship here and I am so excited to learn different treatments to please clients, and to make progress in my career in the beauty industry as I am very passionate about beauty and want all clients to experience the best possible outcome of all treatments we provide and allow clients to benefit from these treatments and feel better about yourself. I would like to think I am a bubbly talkative character and I always make sure that you feel comfortable and pleased with your treatment. I hope to see you soon in the salon. “I carried out my training at Blackburn College where I completed my NVQ Level 2 & 3. I have been managing the Barrowford salon now for over 2 years and really enjoy working there in a such beautiful surroundings. I have been in the beauty industry now for around 8 years and have learnt a lot along the way. 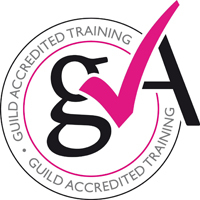 Over the past 8 years I have had the opportunity to train on a number of courses that has given me extensive knowledge across a range of speciality beauty treatments e.g Dermaplaning, Microdermabrasion & IPL. I have enjoyed my ongoing management development along the way. My talent and passion is HD Brows, I love creating fantastic brows for my clients. I also love the LVL lash treatment as it enhances peoples natural lashes. I love working with a great team that offers great personal care. I love to be able to carry out treatments, leaving clients feeling good about themselves, the feedback I get from clients leaves me feeling very happy. 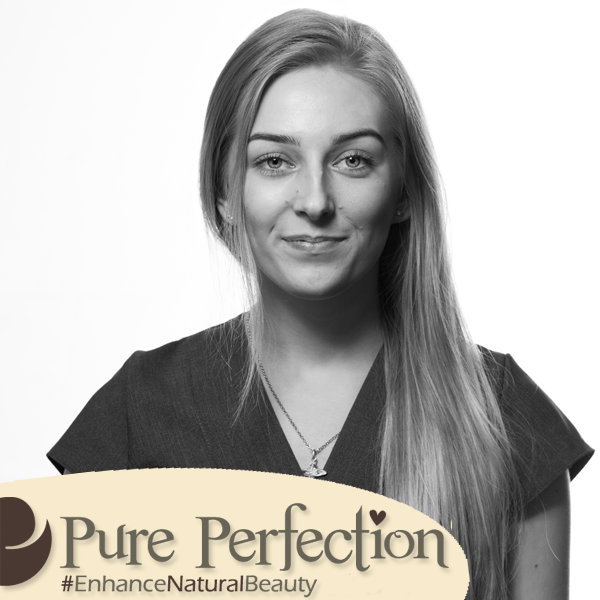 Whilst doing my apprenticeship through Blackburn College I have received high quality training in all aspects of beauty here at Pure Perfection. Although I enjoy all treatments, my passion lies within nails, HD brows, Microdermabrasion and Sothys facials. 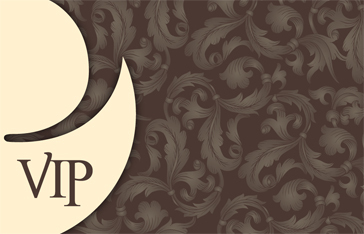 The most rewarding part of my job is making each of my clients feel pampered, relaxed and happy with their treatments. 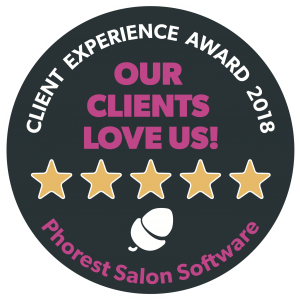 It is amazing to work with such a friendly, welcoming team and my love for the beauty industry continues to grow each day, alongside my commitment to customer care. I hope to see you in salon soon. I’m a bubbly and enthusiastic person when it comes to doing the job I love. I have high expectations when it comes to beauty treatments, so I try to go above my own expectations to meet my clients needs. I have been known to go above and beyond on a task and I pride my self on performing my treatments the best of my ability with perfect results.